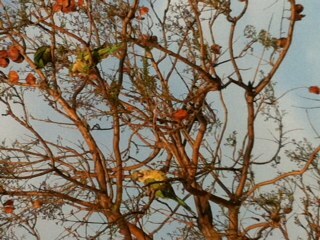 The Birds ! | La Rosilla - Lifestyle and food. Being awaken by bird song, and cuckoo’s cuckooing is sure sign of the weather improving. This last few weeks, I’ve had some strange and amazing bird experiences . The swallows and swifts on the mountain, have been enjoying the thermal breezes, swooping and diving, and flying into my house !!! Now birds I love, but NOT in my house, and don’t do that flappy, flying thing !!! So on numerous occasions, I have dive bombed on the floor, to avoid being flown into, I’ve dived out the door, and been found, calling the bird to fly out, I know they don’t understand the human tongue, but hey anything is worth a try. I’ve even been swooped while sitting on the Loo ! Taking a rare five minutes to catch up on my reading & enjoy the peace and quiet outside, I had to retreat inside, due to the constant tweeting, and squawking taking place around me, from mating birds. Sparrows, are nesting under our pergola, and get very fractious, if we go out and sweep, or sit or eat, its as if there saying ‘Oi this is our gaff, not yours’ the Daddy is very busy gathering food, and very brave, coming right up to the door, and having a good tweet ‘hey being La Rosilla, you must have some tasty scraps’ The chicks have been born, fingers crossed the survive the perils of flight. At the golf course, we are fortunate to have beautiful mountain scenery, as well as fabulous ponds with great wildlife, but now too we have had 2 resident Ducks arrive, now with a surname of Drake, I’m very fond of my 2 legged relations, so each day my OH has saved his crust to feed them, they too now have become part of the family, and turn up for afternoon tea each day. 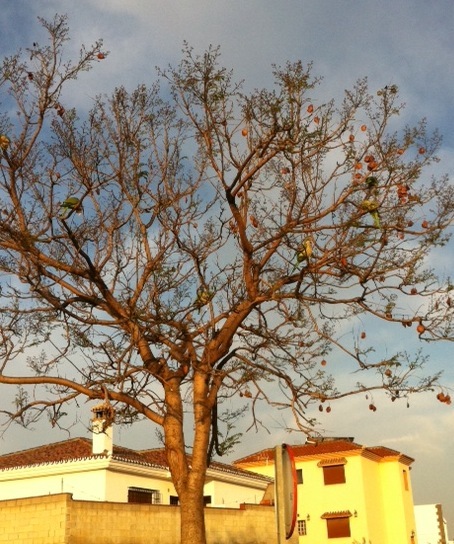 Driving to work the other day we passed a tree, with no leaves, but many green large fruits as we thought, but on closer inspection, the tree was full of green parrots, eating away, and just happy to sit and have their photo taken, before they flew to pastures new. 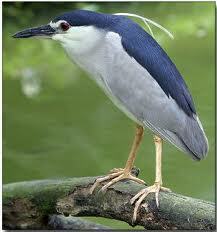 Then my most recent bird encounter again at the Golf Course, whilst feeding my little ducks, I spotted a very rare Black Headed night Heron, sitting on old branch, statuesque, surveying the scene. So although not a natural ‘Twitcher’ I’ve enjoyed my encounters…well some of them. You always was a “Bird Brain” !!!!!!!!! Hey, time for some mozzie nets on the windows – but how lucky are we to live here, hey? I breakfast with the swallows almost on my shoulder, the same ones as last year…..did they book in advance?! Yep mozzies nets back up pronto, I like to take the down in winter to let as much light in a poss, but a must when it starts to warm up.